Summer vacation forms an integral part of every child’s life owing to the conclusion of a fruitful educational year, facilitating a gap of two months. Yet, children are found to while away this time indulging in pointless pursuits such as staying indoors with their video games, leaving parents worried about the lost time. Certainly, time is precious and children need to utilize this time more wisely to productive causes. For the children it is the best time to learn so many new things that they cannot learn while they were busy with their studies. During the regular school year, children are too caught up in their assignments and homework to indulge in recreational activities- sports being the prime example. Indulging in a sports activity inculcates a balanced set harmony between physical fitness and mental dexterity, something that individuals have to harbour within themselves. There are added emotional benefits for kids who participate in sports- experiencing challenges that help them develop confidence and learn about the world, being taught to deal with winning and losing and how to do both with grace. Alongside, their confidence is boosted as they push the boundaries of their capabilities. Hence, it is always wise to encourage children in taking up a sporting activity. Vacations are the prime time to enrol children in summer camps- with children having ample of spare time that needs to be dedicated in sharpening their skills. Summer camp forms a special kind of commune where kids congregate to have fun. Within the pulsating environs of camp, children develop a sense of independence as they try new adventures away from home. Summer camps are known for providing a safe environment where children gain self-confidence as they learn new skills. Camp is also a place where children develop a variety of social skills (e.g., communication, conflict resolution ability). In short, the perfect place for children to learn and grow in unison. Modern advancements and the detached, clinical temperament enshrined in modern age humans may have its salient points, but is detrimental for a growing child. In lieu with decreased social relations and moral values, children are lagging behind in concentration, tolerance, patience and so on. They require to be nudged back into the world of humanity- through learning spiritual practices such as Yoga and Meditation. By channelling the inner reawakening through these holistic practices, children can develop control over their mind which ultimately helps in improving their concentration power which proves to be a great aid in their academics, alongside veering into the path of becoming a better human being. As we progress ahead with life, it is important to impart valuable lessons to the future inhabitants, reflecting the impact on humanity to a greater level. 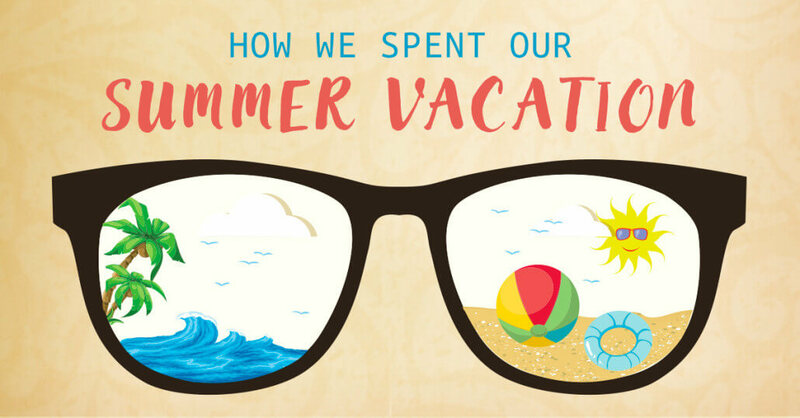 Summer vacation will gather a shade of fruitful exuberance if parents choose most of the above mentioned activities for their children to reap benefits from.